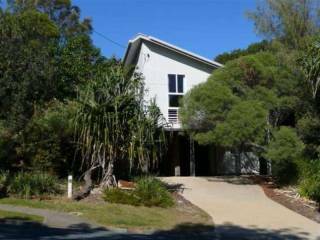 Beach house - pet friendly, fenced and walking distance to everything. 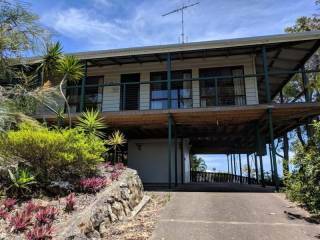 This great beach house is fully fenced, pet friendly and only a short walk to beaches, shops and public transport. 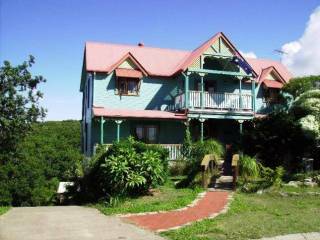 This great beach shack is located only minutes walk from Cylinder, Deadmans and Frenchmans Beaches. The local shops are a short stroll as is public transport and the Straddie Hotel. 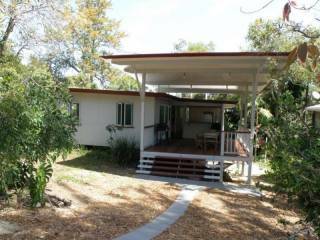 The fully fenced yard is perfect for children or your family pet who is welcome to holiday with you. 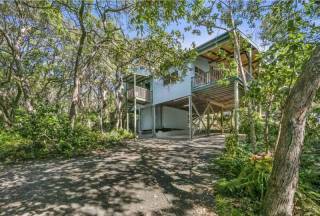 This beach house is one of the original Straddie Cottages which has had some recent TLC.